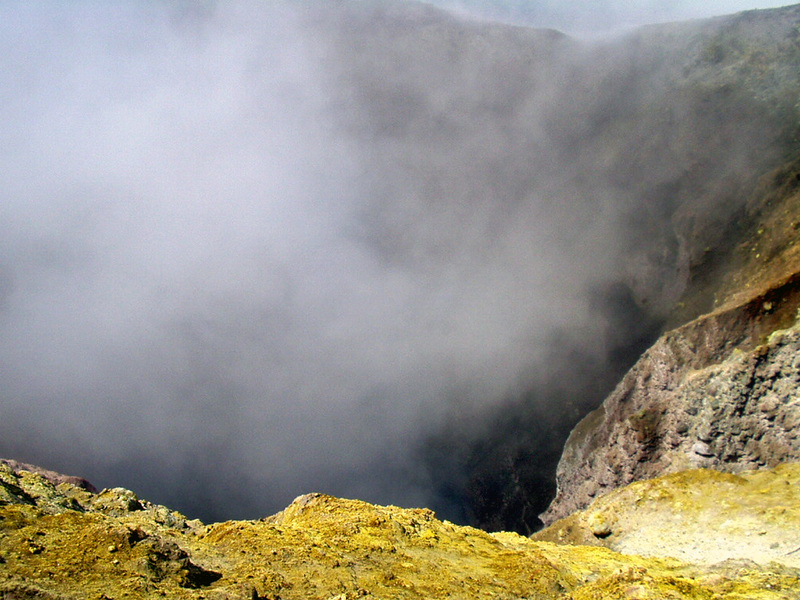 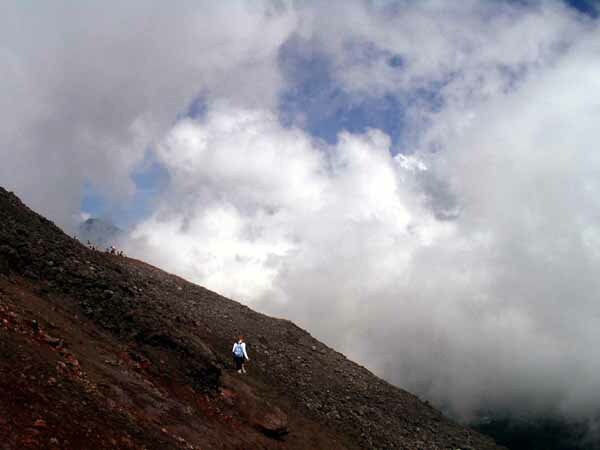 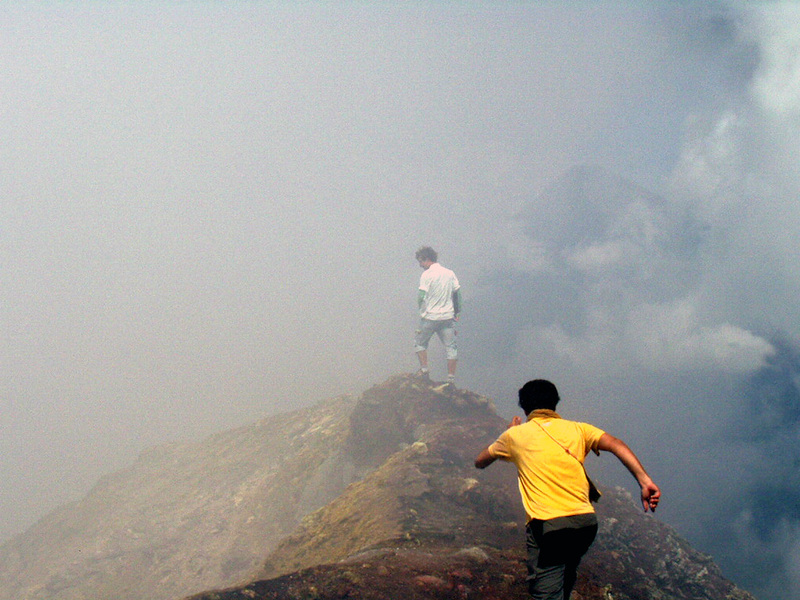 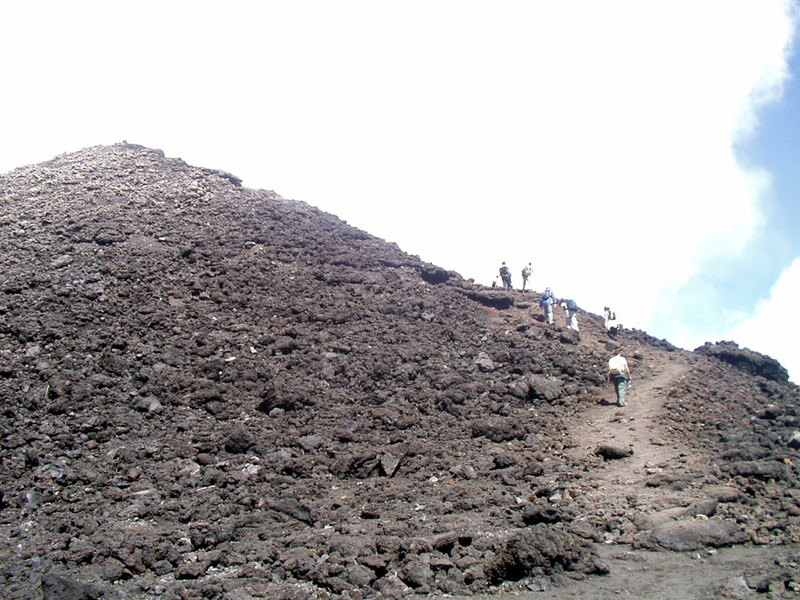 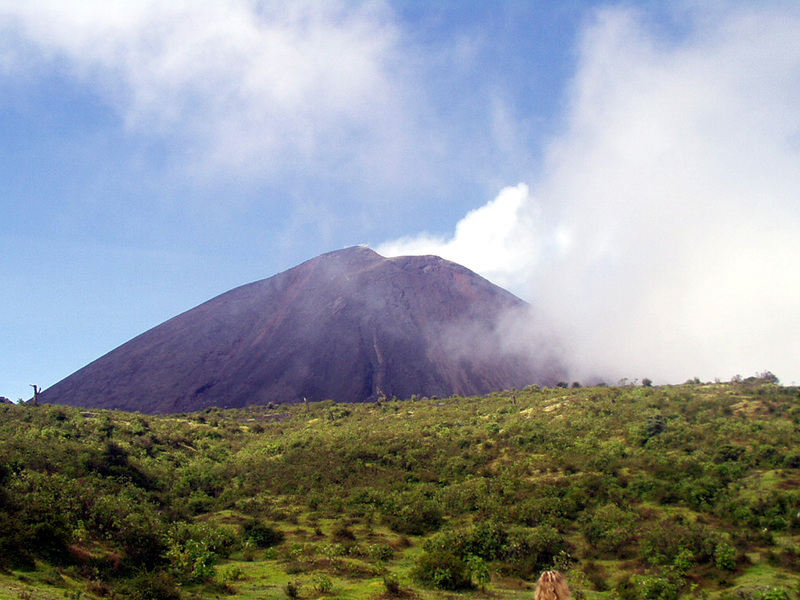 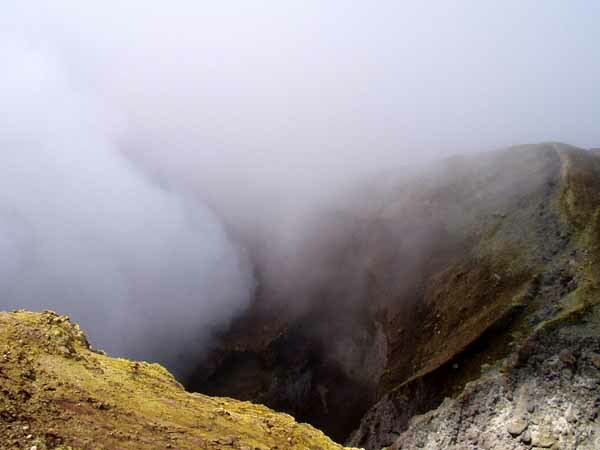 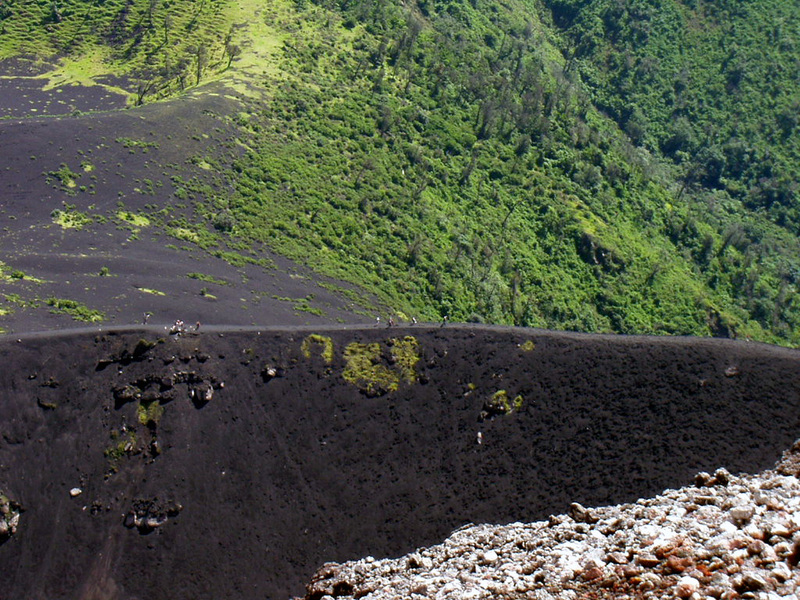 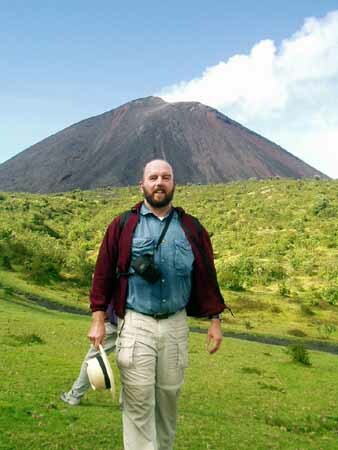 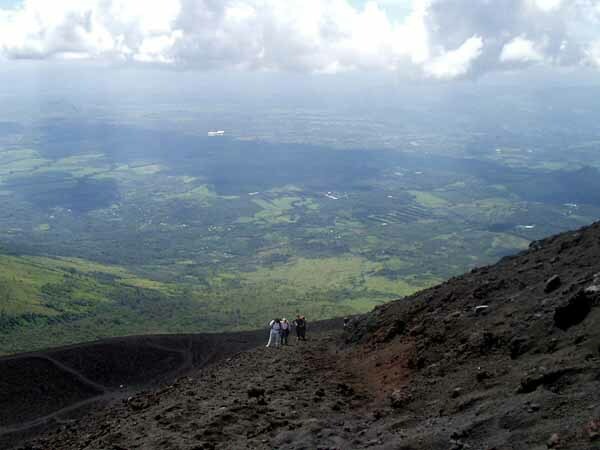 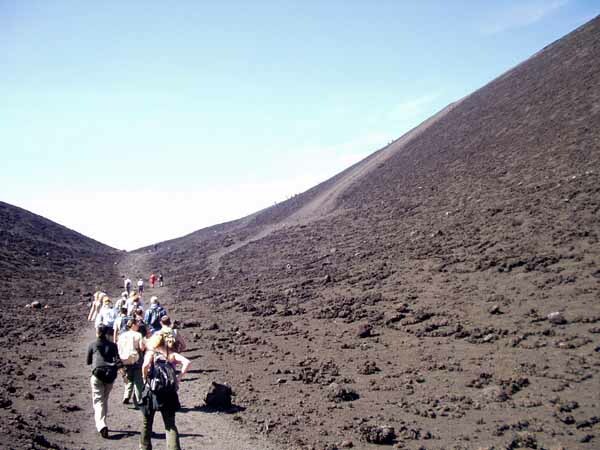 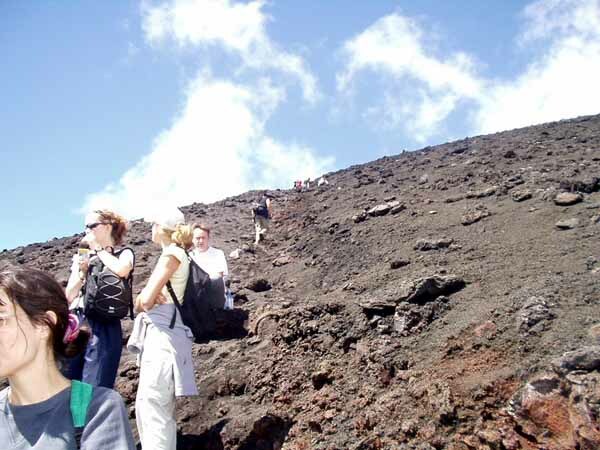 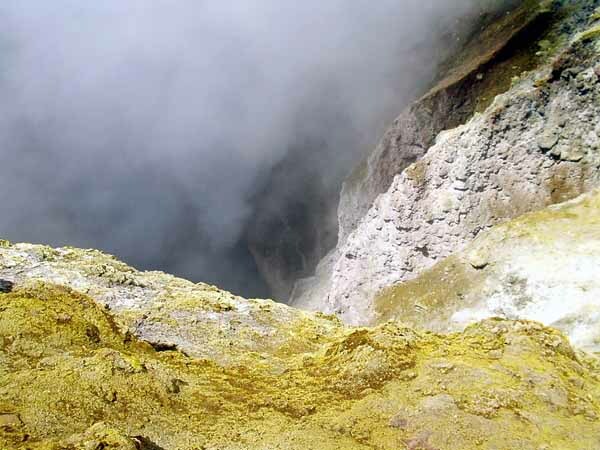 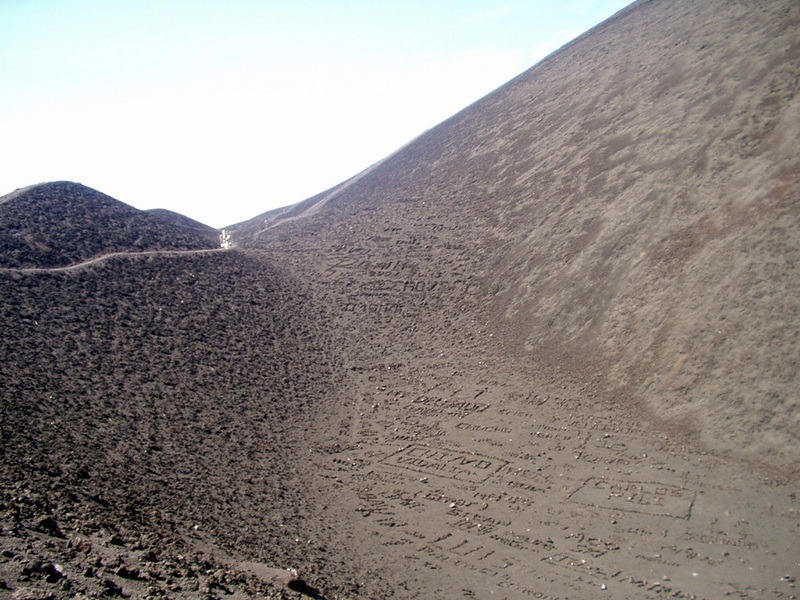 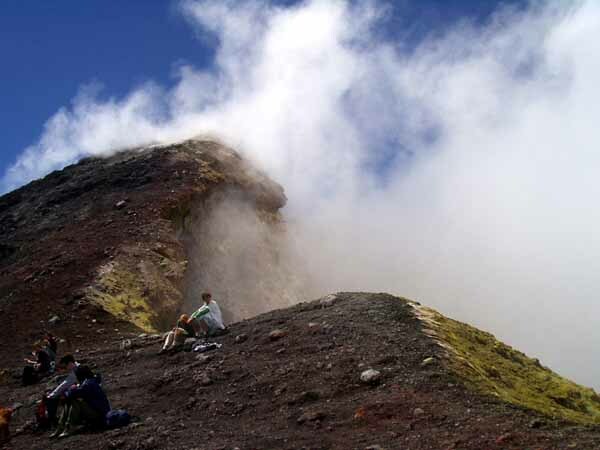 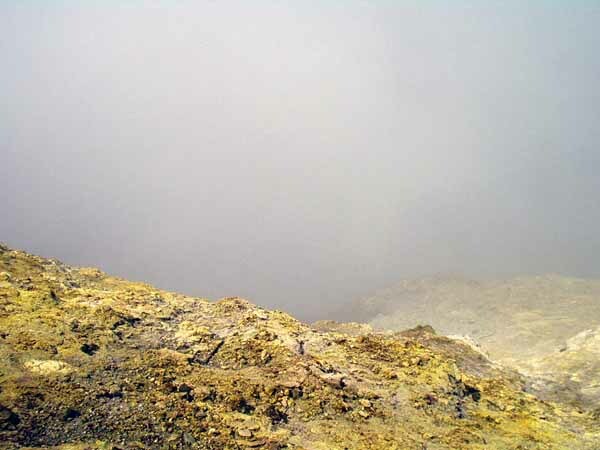 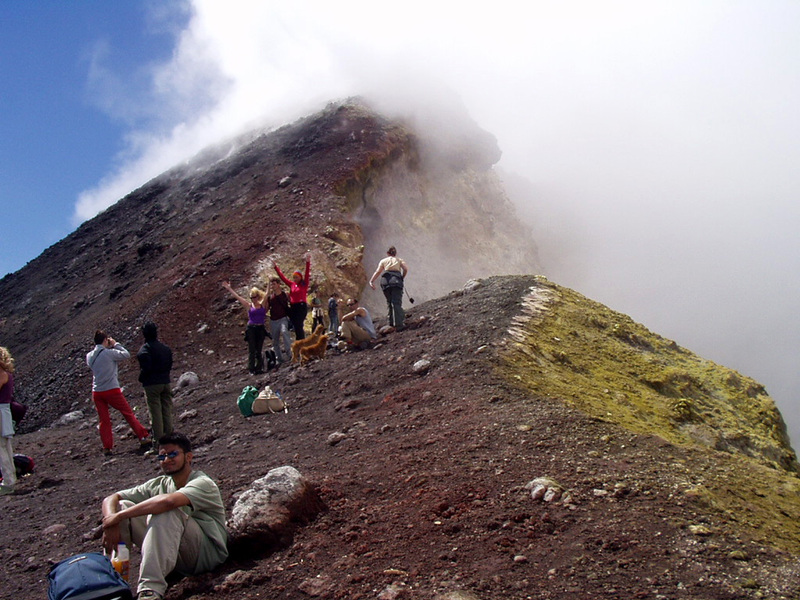 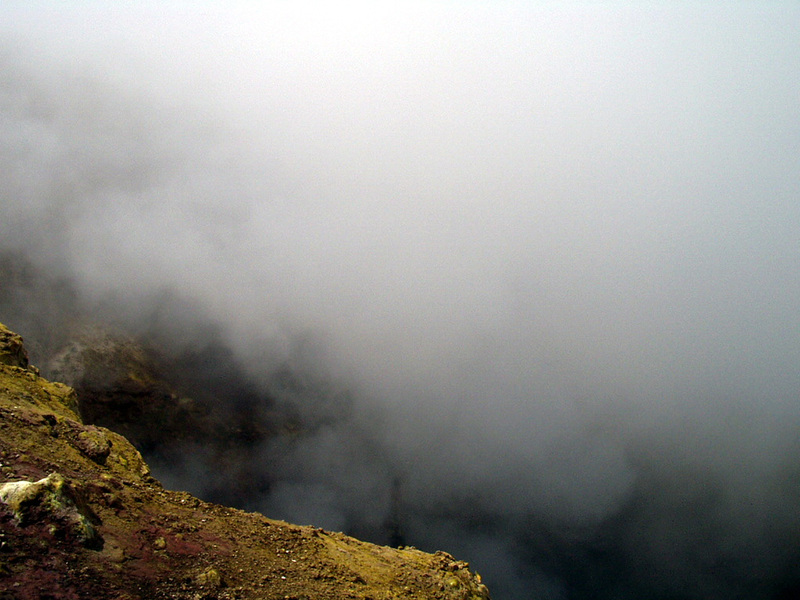 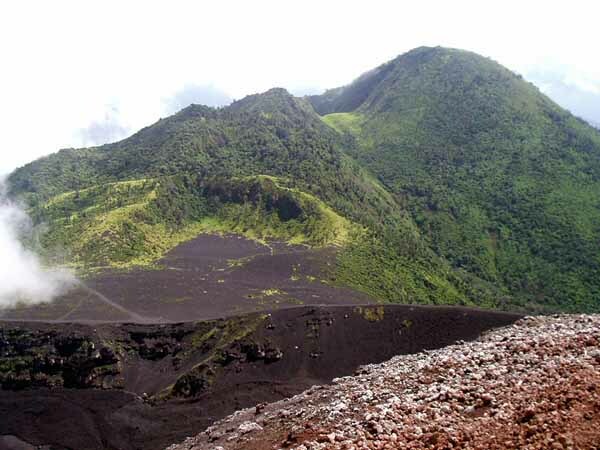 On September 9 I got up painfully early for a guided hike up Vulcan Pacaya, an active volcano near Antigua. The reason for going early is to avoid the clouds that usually move in during the afternoon. 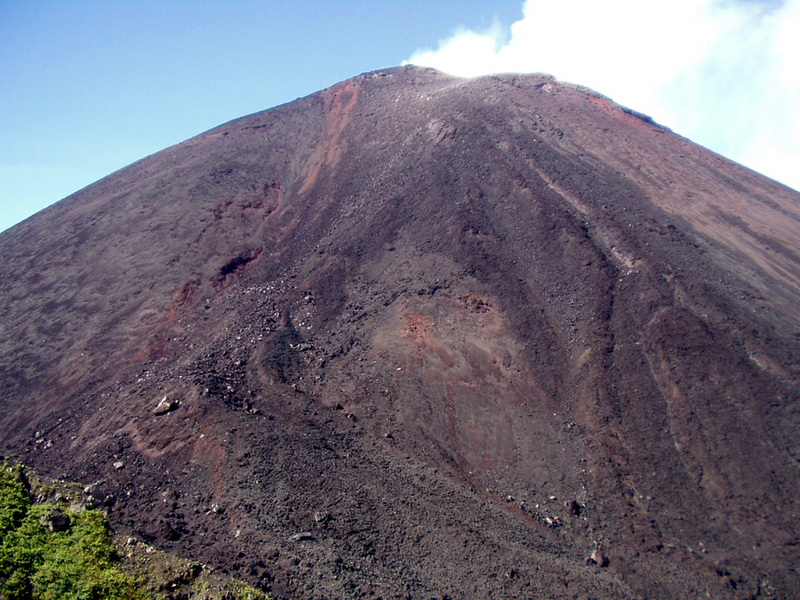 Other than the time it was a pretty easy tour; leave Antigua at 6:00 a.m., get to the trail head at 8:00, reach the top at 10:00, and back in Antigua around 1:00 in the afternoon. 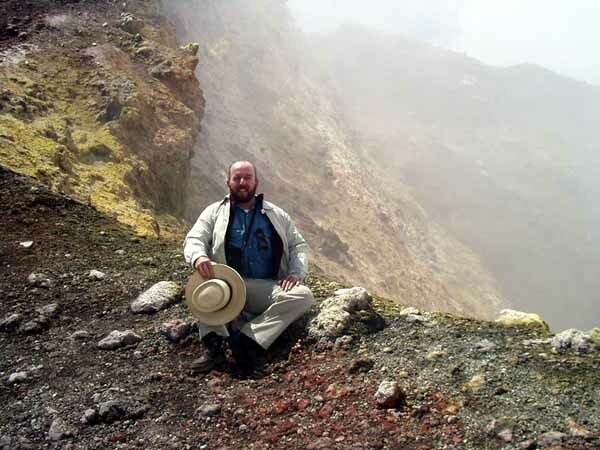 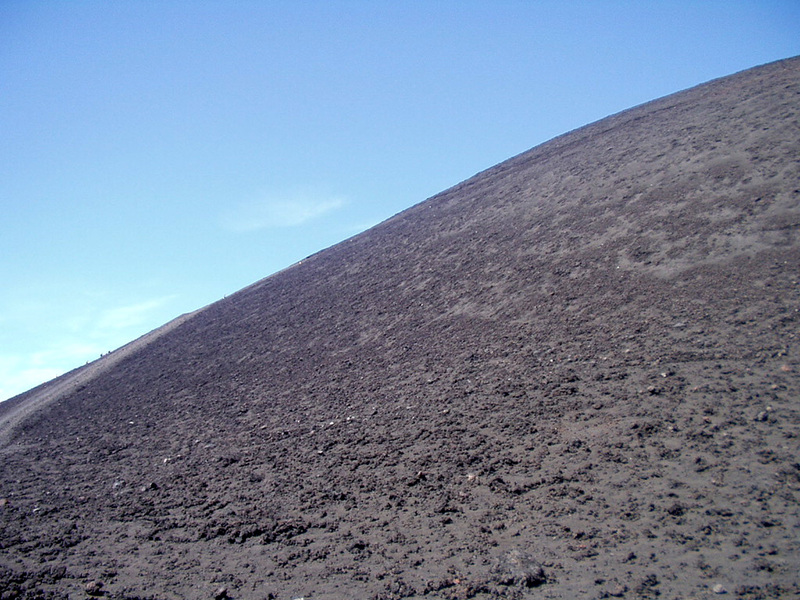 It was the best volcano I have seen; I got to stand on top of the cinder cone, look into the crater and inhale lots of sulfur gas. 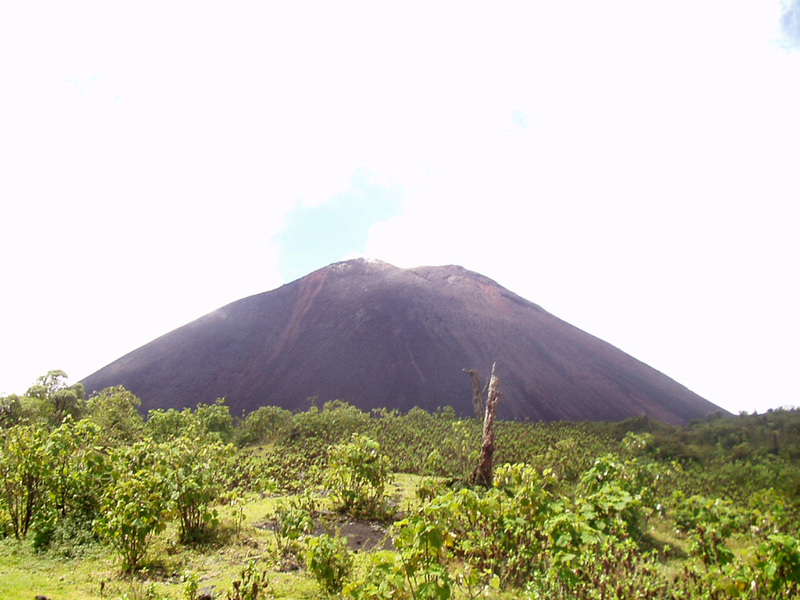 The only thing missing was hot lava, I'm still looking for that volcano experience. More shots of the cindercone, which is much larger than it looks in the above picture. 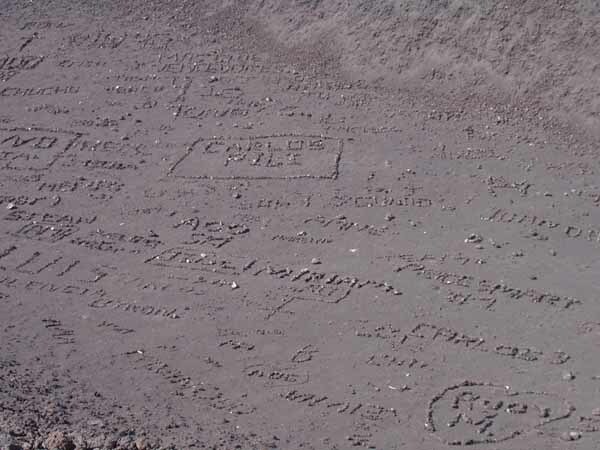 Also some of the graffiti on recent flow fields.